Great idea. At this moment in time, there has never been a better way to show the world what you can do, how stylish you are as an interior stylist, how amazing your copy is as a writer and of course what an incredible personality you have (Yes, you really have). Blogging is one of those things that people talk a lot about doing but avoid actually getting stuck into. They’re too ‘technophobic’, don’t think they can take good enough shots or they aren’t sure their words will resonate with anyone, and who wants to read a blog that only your mum and dog read? The biggest obstacle people have when starting a blog is that they feel like they’re already too late to the party and everyone else in the industry – or not in the industry, has thousands of followers and a huge social media following already. You’re already behind before you get started! Who would want to read what I have to say anyway? Lots of people. Let me put it into context. When you go shoe shopping do you always go back to the same shop? Of course not. And when you buy magazines do you only buy one as that gives you everything you need? No, that’s ridiculous. You get something different from each one you read. The thing that makes us go back to interiors blogs we follow time and time again is the person writing them. We feel like we know them. We like them and can relate to them. They entertain us, teach us about new brands we’ve never heard of and inspire us. And that’s where you come in. It’s time to be brand aware. You are the brand. 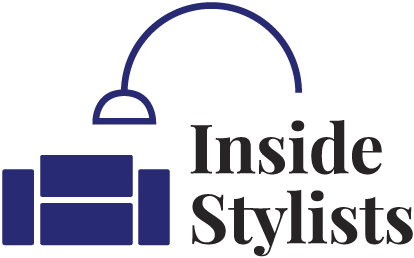 You are the interior stylist with stunning style, the writer with wit and the assistant with an obsession for anything and everything interiors. Show it. Talk to your audience like they’re your best mate and you will find your tribe. As our good friend Wendy always says “What’s the point?” Well, the point is that this is the way the market is going. Do you have to have a blog? No. But will it help your career? Definitely. A blog is the easiest way to get noticed and that’s how you get the jobs. The PR’s are no longer looking for just stylists and writers to promote their clients. It’s no longer just magazines and newspapers fulfilling their briefs, they’re looking to blogs, Youtube channels and Instagramers. In a word influencers. A blog will take you to the top of the PR’s hit list if you get it right and make your lovely voice heard. There are many things you need to consider before starting your blog. We’ve tried to make it a bit easier to get started. Here’s what you’ll need to consider. PlatformYou’ll need a platform. A blogging platform is the software that you use to set up your blog and be online. These are the most popular blog hosting platforms today. They’re all designed to be super easy to create your own look and you don’t have to spend a fortune to get what you want. You’ll need to decide whether you want to have advertising and the ability to add plugins* before you sign up. wordpress.com – free platform to get you up and running. You are limited with design and can’t add plugins*. You can monetise your blog but what you are able to do is limited. A great place to start if you’re a beginner and just want to have a play around for free. Also, it’s worth mentioning that you can switch over from a wordpress.com> to a wordpress.org> site but you’ll have to pay for the switch if you’re not very techy. wordpress.org – Self hosted platform which is fully customisable. Lots of options with plugins. Blogger – One of the old school blogging platforms. You can get a free website (with an example.blogspot.com domain) but you can purchase your own name elsewhere and add it to your site. There aren’t plugins for Blogger making it limited. Squarespace – Is an easy all in one website builder with a monthly subscription. You can have your own domain name. It’s very easy to use especially for first time bloggers. It has a drag and drop ability so you can make your blog content look however you choose. WIX Another simple to use and set up platform with your own ‘example.wix.com’ name. You can add your own domain too. Wix have their own “Wix app market’ for plugins. You don’t need any design background to set up and run a Wix site. Your domain name is what your blog will be known as. It’s where you can be unique and stand out from the crowd. Most blog platforms will allow you to blog for free but they will add a ‘.wordpress.com’ or ‘.blogger’ on the end of your domain name so if you want to have your own name you’ll need to purchase a domain. There’re loads of places to get your domain – including the place you get your hosting from. A great place to look is GoDaddy.com as you can check if the name you want is available and prices can start as low as £0.99 a year. It’s worth checking out offers. It’s often less expensive to pay for a few years domain name access in advance. Once you’ve bought your domain ensure you have ‘automatic’ renewal set up as a lapse in payment could cause you to lose your domain name to someone who’s been waiting for it to become available. Wherever possible go for a .com or .co.uk name. Others will still work but it’s so much easier for people to remember a name with those endings. Your blog will need a host if you are going to use your own domain name and if you want to have control over what you share. It’s also easier to monetise later once your blog has grown with a self-hosted blog. Most blog hosting costs around £5 a month but you can sign up for 1, 2, 5 years at a time to save money. Plugins are pieces of software that allow your blog to have more functionality. Anything from sharing your Instagram feed to adding images to a sidebar. In WordPress there’s just about a plugin for practically anything you might need. It’s known for it. Just search the plugin library. On all platforms the plugins will be regularly updated. There will be a highlight so you know you need to update and it takes minutes. It’s really important to keep plugins updated as the developers of those plugins want them to work to the best of their ability and any bugs can be ironed out with an update. It’s also great that so many of them are completely free. Once your blog is built and you’re up and running there are a few things you can do to steam forwards. When it comes to the look of your blog there are millions of themes to choose from. Themes are the name given to the look and design of a blog – how many sidebars you have, whether it’s picture led, where the header sits etc. Theme designs for your blog must be responsive – i.e. the blog will look the same whatever device it’s read on and won’t squish up and distort when viewed on a device smaller than a 27″Mac. More people go online on their phones now than ever before. Google penalises you for unreadable formats and you need Google on your side to push you up the page ranks when someone searches for a topic you’ve covered. Layouts are essential as most blogs are read on mobile phones and tablets over traditional PCs now. If your reader can only see half the screen because your site isn’t responsive then readers aren’t going to hang around for long. Would you? No, neither would we. One of the easiest ways to be ranked by Google (and be pushed up the page for any search criteria) is to be consistent. If you only want to blog once a month that’s fine (not ideal as weekly is the minimum recommended) but as long as you’re consistent you’ll get noticed. A lot of new bloggers miss out on opportunities because they don’t connect with other bloggers. We have a great network here on Inside Stylists so we can support each other but there’s a whole big world out there just for bloggers. Make sure you share your blog on all your social media outlets and put a link in your email signature every time you release a new post – and don’t forget about LinkedIn, it’s a great place to be seen by potential new clients and PRs. What happens if you get really stuck technically- or locked out of your own blog (been there, done that!)? There are loads of places you can go for help and it doesn’t cost that much. I’ve had lots of success using Upwork and Fiverr. These are great online resources where you can post jobs and select the most you will pay to have them done by tech people around the world. The talent is worldwide. Small jobs can cost as little as £20 – which is much better than spending hours and hours trying to figure it out yourself. A word of warning: do your research about anyone you hire first. Contact previous clients before committing any money or time. Alternatively, find someone local to you who specialises in your platform. It’s a good idea to have someone you can call in a techno emergency. Whenever someone you follow on Facebook or Instagram thanks their blog/web developer take note of their experts number – it’s like a real-time testimonial. Why not sign up for a blogging course? There’s loads out there. We did Sarah Akwisombe’s “No bull blog school’ course and couldn’t recommend it highly enough. Check out her website NoBullBlogSchool to be notified when the next course is running. Stop the paralysis analysis. Write it and get it out there!